Any moves that cross state borders is considered a long distance move. 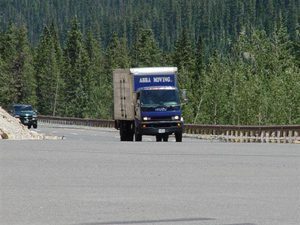 Abba Moving, LLC offers service throughout the United States. The primary factors in determining the cost of the move are: size of your load, and the distance it will be moved. We know that a long distance move can be an exciting, yet sometimes overwhelming experience. Whether you are moving a few furnishings to a neighboring state, or relocating your entire home, we have the knowledge, experience and resources to ensure a safe and hassle free move. Abba Moving, LLC guarantees on-time pick-up and delivery. Whether your destination is Florida, California, or New York, we’re proud to offer the best possible service at an affordable price. We will ensure the safety and care of your belongings, so you can concentrate on a new beginning. For any questions you may have regarding the preparation of your long distance move, please call us at any time at 1-866-484-MOVE (6683). We want to help you get an accurate estimate so there are no surprises on your move day.